This site is devoted to helping people create their best writing. It’s what I love to do. Please take a look around. Click some links. Send me an email (info at danieldavidwallace.com). My first suggestion: if you are curious how this blog works, read my post on the re-design and re-launch of my old site: Turn Your Blog Into A Thriving Business. And then I would recommend my popular page about writing tools and software: The Best Writing Tools. 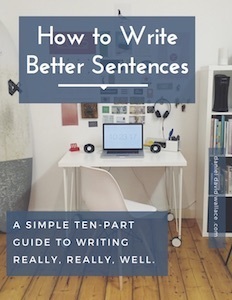 I also wrote a long guide to prose style, “How to Write Better Sentences.” This (free) ebook is the revised version of my most read and shared blog post series, teaching you all kinds of techniques for improving your writing.